Just a quick note to let my UK readers know that THE WAKE UP is free on Prime Reading for about the next six months. 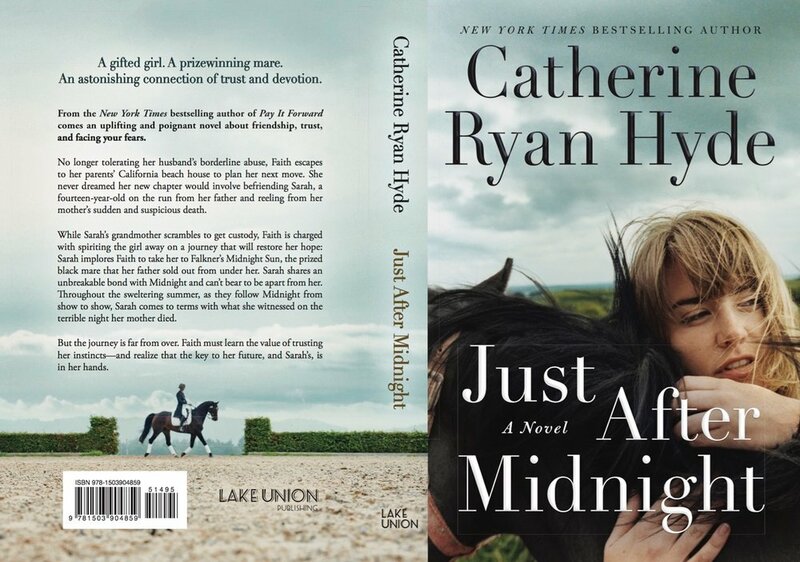 I just got the full (front and back) cover for my December release, JUST AFTER MIDNIGHT. I'm so excited to have a dressage rider on one of my books. I get to use my dressage show experience in my fiction! But if you're not interested in horses or dressage, no worries. It's about so much more! Both the title and the cover are links, in case you're ready to preorder! 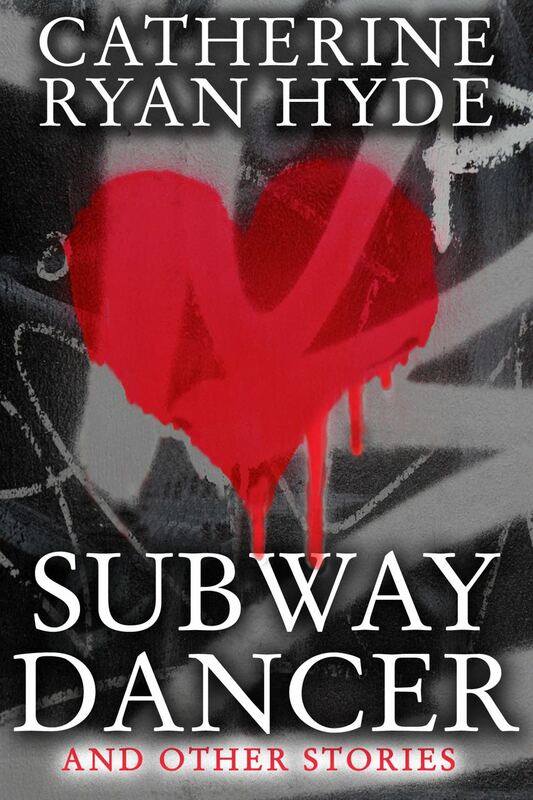 Subway Dancer gets a great review! Here's a really nice video review/mention for Subway Dancer and Other Stories, a book of mine that rarely gets much attention. It's at Ezvid Wiki's Prose And Poetry Collections Worth Diving Into. My thanks to Ezvid Wiki! If you're a fan of paperbacks, and not too excited by all the Kindle deals, here are a couple of deals you might like. Both LEAVING BLYTHE RIVER and ASK HIM WHY are on price special (in the US) in paperback--only $7.48 each. The deal is good for the whole month of July. Have you looked through my photos? I've done something different with my photos, bringing them into my website to display. So I figured it was as good a time to ask this: Have you ever looked through my photos? They're almost all in the nature/outdoors/ travel/wildlife categories. And they are HERE if you're interested in a little vicarious travel. Or a lot. ALLIE AND BEA is at #1 in Germany! ALLIE AND BEA (retitled "Days of Hope") is at #1 in the Kindle Store in Germany! Thank you, thank you to my German readers. I appreciate you! Want to see what's next? Now that HEAVEN ADJACENT has dropped, is it time to look forward? Here's a link to what's next! If you preordered HEAVEN ADJACENT on Kindle it should drop onto your device late tonight. Let me know when you see it! If you haven't yet read THE WAKE UP, I'm posting to let you know that it's a Kindle Monthly deal for the month of March. All month the ebook is on sale for only $2. If you've read it, and enjoyed it, maybe tell a friend? Happy reading! This is the best photo I was able to get this morning. In case you missed it, I have nine books on sale at Amazon.com at very low prices this month. Sales lasts until the end of this month, or about another five days. They are: Say Goodbye for Now, Ask Him Why, The Language of Hoofbeats, Take Me with You, When I Found You, Leaving Blythe River, Walk Me Home, Worthy, and Allie and Bea. And they are for sale in both Kindle and paperback! ...and the cat huddles in close for the dog;'s warmth. Even though the heater is on in here. Just a quick tip for my UK readers. SAY GOODBYE FOR NOW is on Prime Reading in the UK. That means if you have Amazon Prime you should go out and read it because it's absolutely free for the next three months or so! 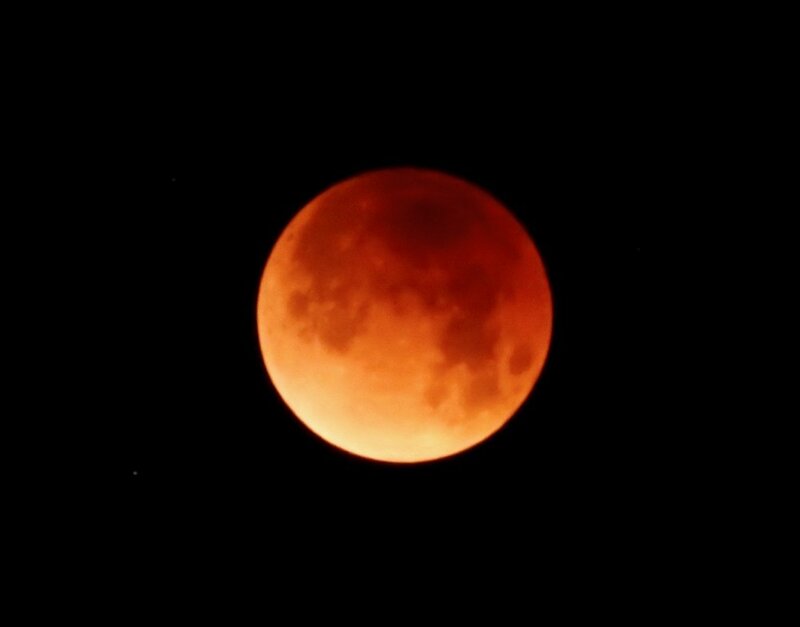 You can use THIS LINK. Great news! THE WAKE UP has been chosen as an Amazon Best Book of December 2017 in Literature & Fiction! And you can read it in just four days! This is the crowdfunding page for our newest Pay It Forward Foundation program. We are getting ready to come back better than ever! If you can help, it would be much appreciated. If not, maybe you can share THIS LINK? Check it out. 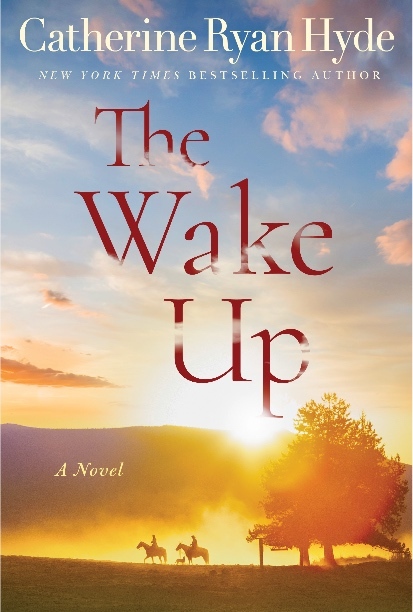 My publisher is giving away 100 ebook copies of THE WAKE UP on Goodreads. Go get in on it! At the end of a bizarrely hot day.